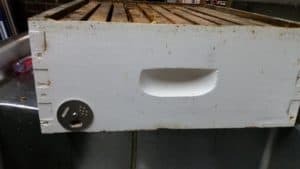 I’ve always heard that for a small time beekeeper an extractor isn’t really needed, you can instead crush the comb and put it through a strainer giving you honey and wax. This appeals to me since I have use for beeswax as well as the honey and don’t want to spend the money on an extractor that I would once a year. 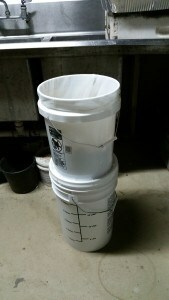 What I’ve read about is using a 5 gallon paint strainer and two 5 gallon buckets. You drill holes in the bottom of one and cut a hole in the lid of the other. The paint strainer goes in the one with the holes in the bottom and that one goes on top of the one with the hole in the lid. 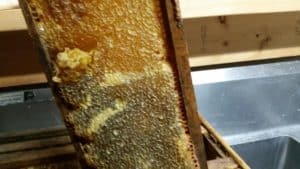 My biggest problem is that I was harvesting honey from a hive that died out over the winter and a bunch of the honey crystallized in the comb. 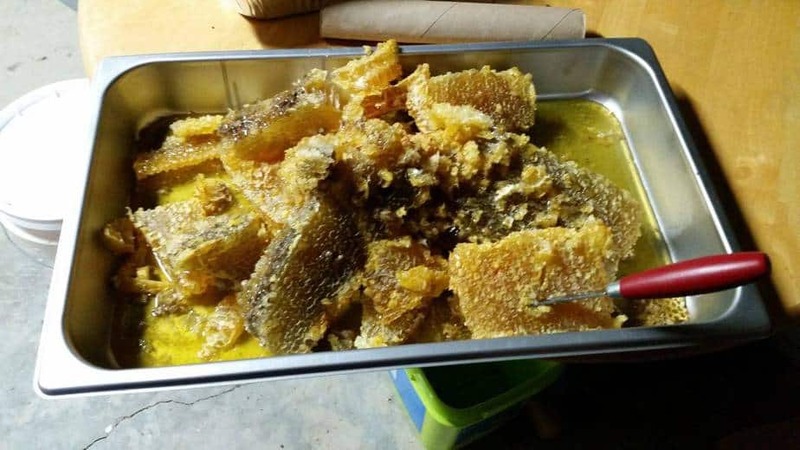 Even if I had an extractor this still wouldn’t have got the crystallized honey out. And it certainly would not have went through the strainer. 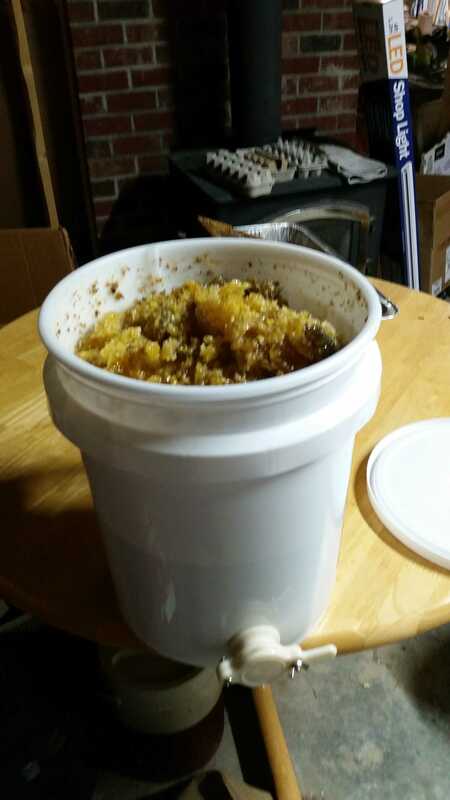 When I tore it apart I found crystallized honey that had went through the strainer bag but not down into the bottom bucket. 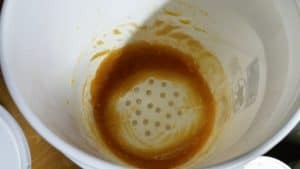 I think I was putting too much in the strainer at once. The last few frames I crushed I put through a bucket strainer I got from Amazon. 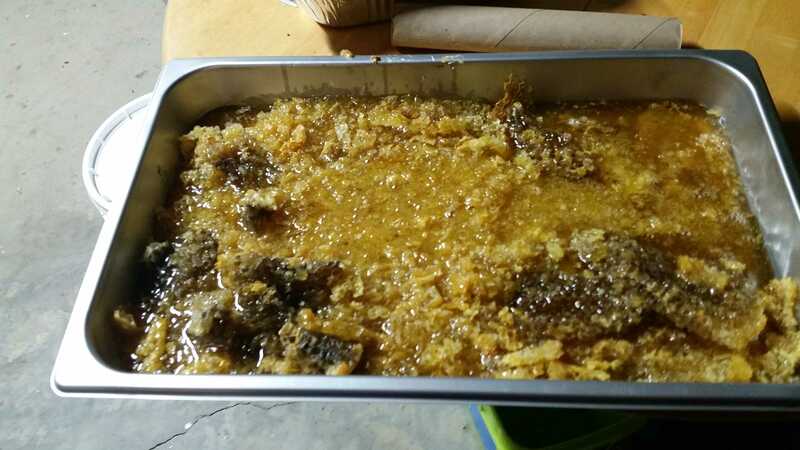 This appeared to work better, but I could only put in a couple of inches of the crushed honey/wax mixture at a time. But since I’ve got enough honey for my immediate needs I’ve got time to do it in smaller batches. 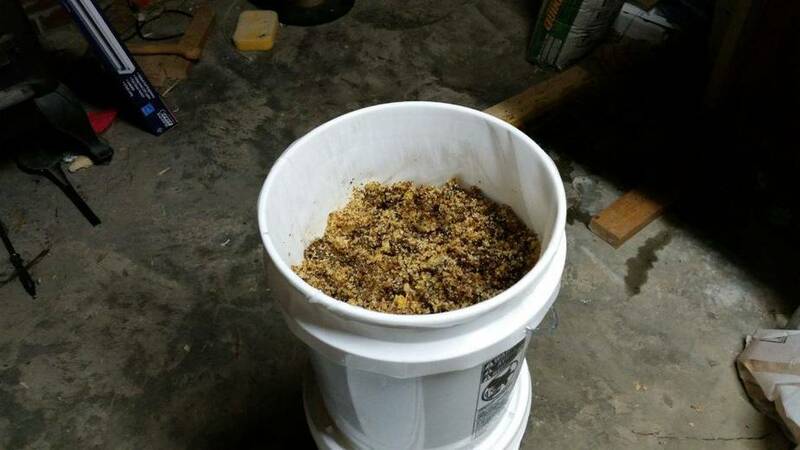 I saved everything that was left in the strainer (both the paint bag and bucket strainer) and slowly warmed everything up so that everything melted. 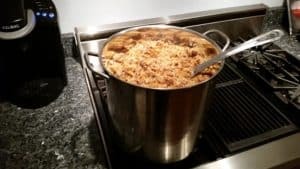 After letting it cool I pulled the solids off the top and ran what was left through the bucket strainer again. 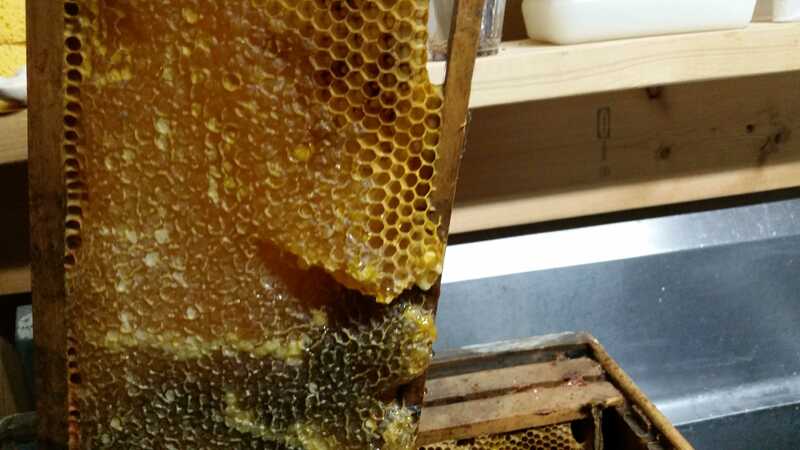 This gave me about 3 gallons of honey. 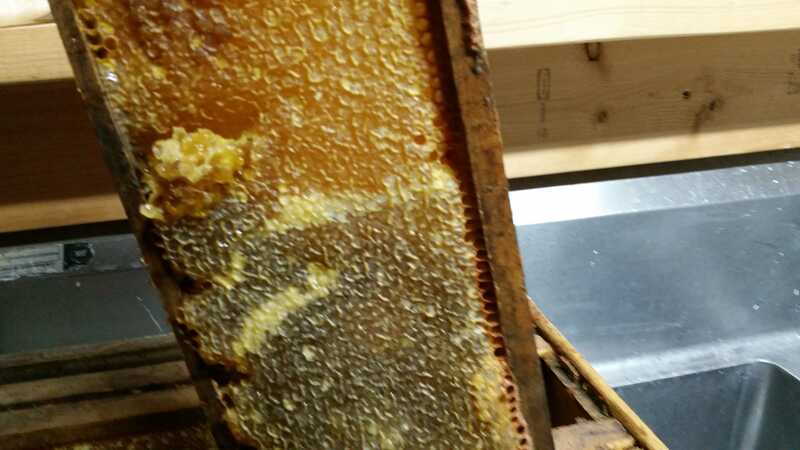 This made my recovery rate about 60%-70%, however I believe that part of this low rate was due to the amount of honey crystallized in the comb, heating it up turned it back to a liquid. 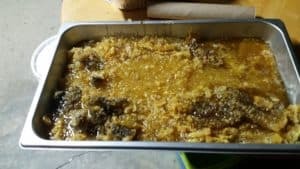 My daughter uses honey in cooking so I’m OK with having some of it not being the superior raw room temperature filtered honey I like eating. I do keep this heated honey separate from my first pass. My lessons learned are to harvest in the fall to avoid crystallized honey in the comb and to process in smaller batches using a bucket strainer rather than the paint strainer bag so as much of the honey as possible can flow through the strainer.